iPi Transport is expanding and is now calling for experienced class (4) licenced highway drivers for it’s Lae, Goroka, Hagen, Madang and Port Moresby operations. iPi Transport is offering an opportunity for selected drivers to earn up to K70,000 annually. Ideal drivers preferably must have a minimum of 5 years driving experience on the Highlands Highway, particularly in the Lae – Hagen, Hagen – Hides and Hagen – Porgera routes. Along with experience on the Madang and Port Moresby routes. Drivers with Kenworth, Hino, Renault and or Mercedez Benz experience are encouraged to apply. Interested applicants should call 71901192 or 73414350 to register their interest. For further information, contact the HR Department on telephone 4751400.
iPi Catering is expanding and is now calling for all experienced Catering and Maintenance staff for its Lae, Porgera and Port Moresby operations. For a growing opportunity, join our ever expanding team today! An experienced Pastry Chef is required for positions in Port Moresby, Porgera and Lae. Demonstrated experience in Workflow planning in a Pastry Kitchen. Experience in following Workflow plan to ensure the food and services are prepared and served on time. Controlling of (Pastry) waste and achieving nil or minimum wastage through correct storage and Communication with superiors. Ensure the kitchen areas are kept clean and tidy at all times. Proven ability to report any equipment breakdown. Restoring, rebuilding or replacing faulty or inoperative components and parts so to meet customer requirements in a timely and cost effective manner. 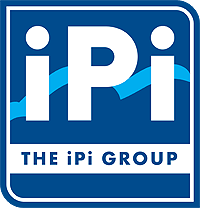 Assist in developing and planning training curriculum to meet the needs of iPi Catering. Assist with the continual revision and updating of training resources to ensure ongoing compliance with iPi / VET / ANTA / NTC /Client requirements. Deliver training and assessment according to iPi programs. Develop a stimulating learning environment by using a variety of styles, techniques and approaches to deliver information, taking into account the needs of the students.